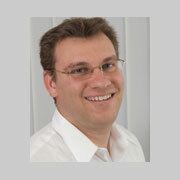 Mr. Katsman has been managing the 'Israel Portfolios' for more than 5 years. He is a noted expert on both the Israeli economy and stocks, and has appeared on CNBC’s Squawk Box, as well as, being a frequent contributor to both SeekingAlpha.com and The Jerusalem Post. He was a senior analyst at a leading Israeli venture capital fund where he gained an intimate working knowledge of the Israeli high-tech scene, and is frequently invited to lecture on the Israeli economy. In 2009 he started his own boutique investment firm, Lighthouse Capital Ltd. where he works with clients developing investment portfolios consisting of both Israeli and global securities. Mr. Katsman joined Portfolio Resources Group (PRG) from Citigroup, where he founded and managed the bank's Israeli Private Banking Group. He is currently a member of the Investment Committee of PRG's Advisor Group. Mr. Katsman holds a B.A. in political science from Yeshiva University in New York and is licensed as a registered investment advisor in both the United States and Israel.